Description 2017 Toyota Tundra SR5 Clean CARFAX. CARFAX One-Owner. 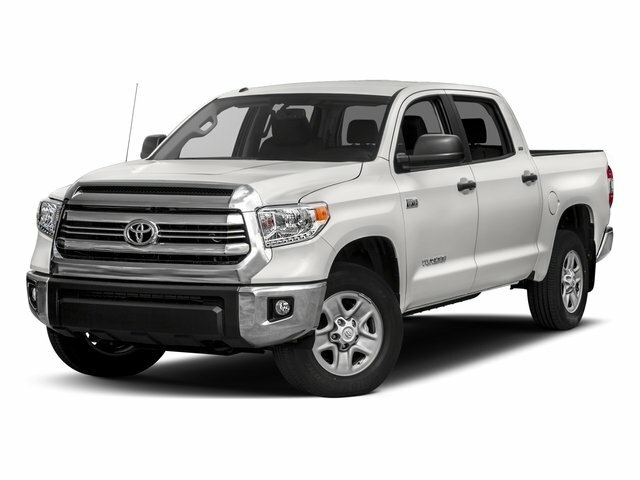 5.7L 8-Cylinder SMPI DOHC RWD Magnetic Gray Metallic TSS OFF ROAD, 20in TSS ALLOY WHEELS, Tundra SR5, 4D CrewMax, 5.7L 8-Cylinder SMPI DOHC, 6-Speed Automatic Electronic with Overdrive, RWD, Magnetic Gray Metallic, Graphite w/Fabric Seat Trim, 38 Gallon Fuel Tank Capacity, Alloy Wheels, Anti-Theft Immobilizer w/Alarm, Black Tube Steps, Compass, Electrochromic Rear-View Mirror, Exterior Parking Camera Rear, Front Bucket Seats, HomeLink Universal Transceiver, Navigation System, Remote keyless entry, Spray-On Bedliner, SR5 Upgrade Package, Urethane Tilt/Telescopic 4-Spoke Steering Wheel.